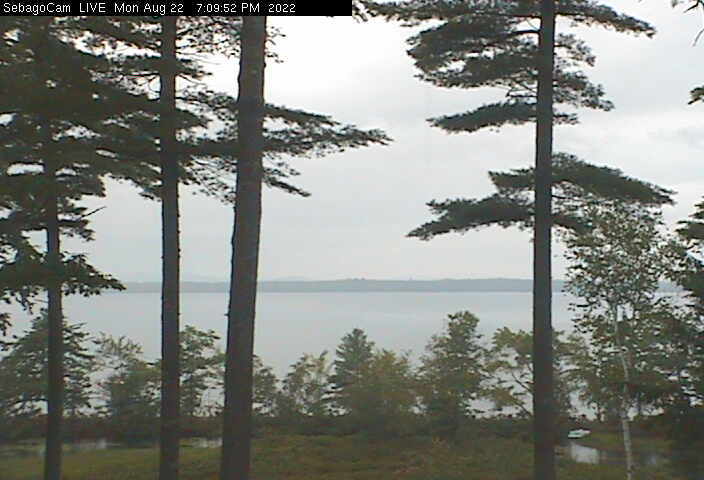 First she tried Lake Megunticook. The wind was fine, but oh my, that shell ice.  So she went to Damariscotta Lake. 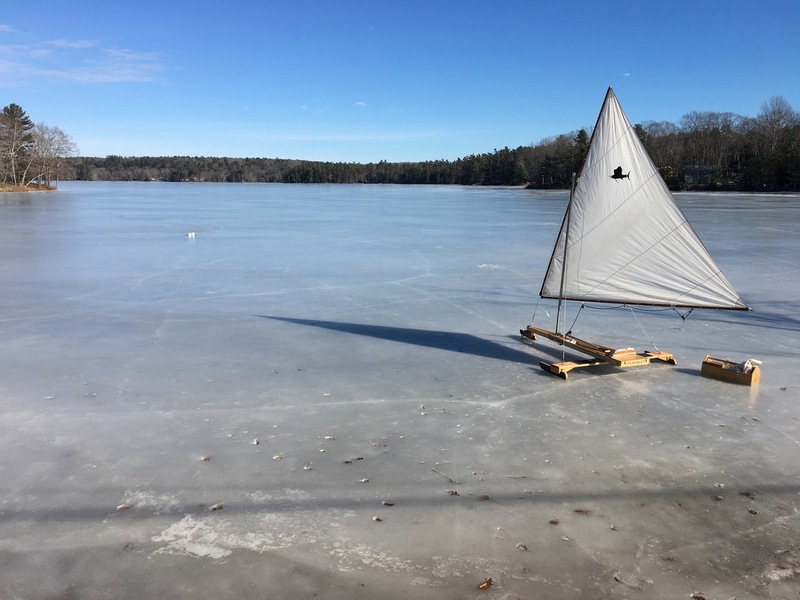 The ice was wonderful, but she really needed more wind. Then there was Lake Chickawaukee. 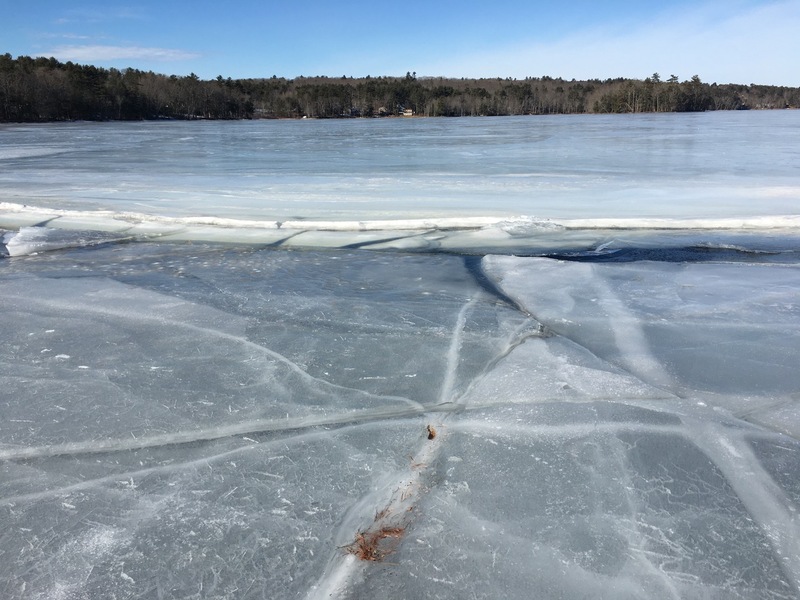 Nice ice, decent enough wind, now out of the east. The east, she thought? That usually means bad weather coming. Sure enough, the clouds were moving in and the lovely sun was gone, so she went off to have some porridge. No word on wether it was too hot. 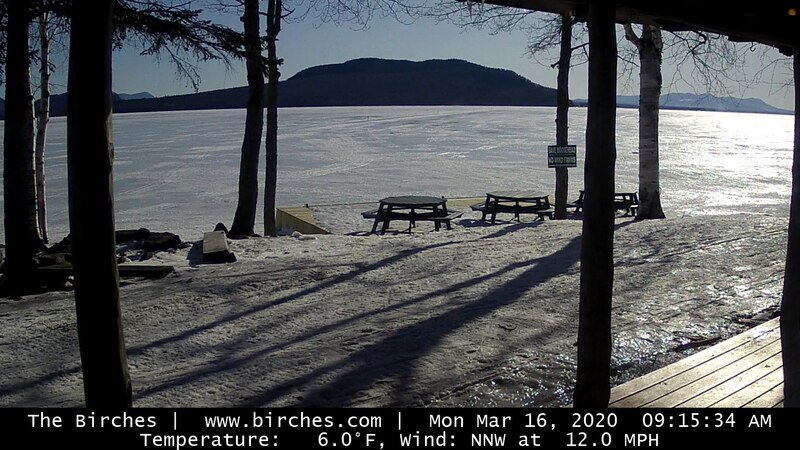 At least one iceboat took advantage of the beautiful day. 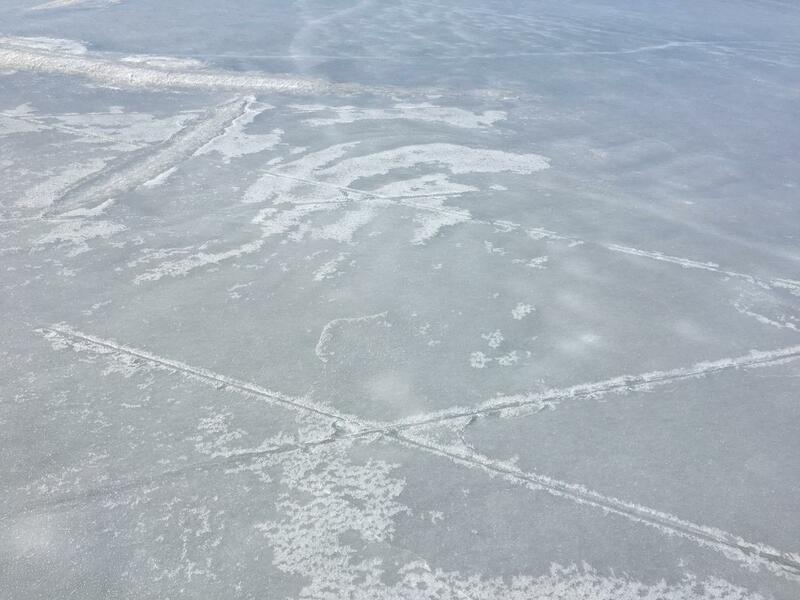 There were signs on the ice of a previous civilization. Our pressure ridge crossing is shot, but after the next two days of every precipitation in the book it’s bound to change again. Big wind called for Saturday, but then nice conditions Sunday and Monday. Check all your forecasts and pick the one you like best. I’m going with NOAH and Windfinder so will see you Sunday morning!